The road ahead for transport operators will become bumpier following the Federal Government’s carbon tax announcement, according to an accountancy firm. Small operators across all sectors of the industry are likely to be hardest hit when the carbon plan impacts on trucking from July 1, 2014, Ferrier Hodgson partner Brendan Richards says. The price of diesel will then effectively rise by 6.858 cents per litre when the the price of each tonne of carbon reaches $25.40. "These operators tend to be price takers and likely to have to absorb the cost, whilst larger operations have greater leverage to pass on price increases," Richards says. "This will just see a further acceleration in the growth of the largest players, at the expense of small to medium operators." 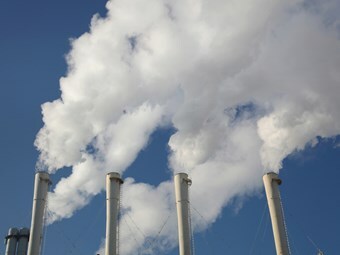 The carbon tax does not favour operators who invest in carbon-reducing technologies, he believes. "In the case of trucking operators, I’m talking about those who purchase, at a premium, latest technology vehicles which are compliant with or exceed Euro 5 standards," Richards says. "Although costly, these vehicles dramatically reduce carbon and particularly emissions. "Where’s the incentive for trucking, or any other transport businesses, to embrace greener technologies? "Surely this is inconsistent with the intention of the policy." Richards says operators need to understand the direct effects of the tax on their business and whether it will impact their customers. He says they need to develop a plan to mitigate any risks from the tax. The Federal Government announced on July 10 it would exempt the trucking industry for two years when the carbon pricing scheme begins on July 1, 2012. From next year, the price of each tonne of carbon will cost $23, rising to $24.15 the following year and $25.40 on July 1, 2014. The carbon tax will shift to a market-based emissions trading scheme in 2015-16.